It’s the first kit of its kind to receive FDA approval. Genomics and biotech company 23andMe now has approval from the Food and Drug Administration (FDA) to sell consumers a DNA kit that tests for cancer risk. This is the first time the FDA has authorized a direct-to-consumer genetic test to determine cancer risk. Back in 2013, the FDA ordered 23andMe to stop selling their flagship product: a “Personal Genome Service” kit. The agency thought the results of the at-home test might not be accurate. False positives could encourage consumers to seek out unnecessary medical treatment, while false negatives could lead them to believe they were free from risk when they weren’t. After reviewing data and research from 23andMe, the FDA is now convinced that the company’s cancer test is accurate enough to receive its stamp of approval. Researchers know of more than 1,000 BRCA breast cancer genetic mutations. However, 23andMe’s new test will analyze users’ DNA on the hunt for just three BRCA1 and BRCA2 mutations. These mutations are most common in people of Ashkenazi Jewish descent, but extremely rare in the rest of the population. Extensive research supports a link between these mutations and breast, ovarian, and prostate cancer, so they serve as a solid starting point for 23andMe. The company will likely branch out to other mutations with future tests. Testing for just three mutations does come with its problems. A person might take 23andMe’s test, get a negative reading, and assume they are risk-free. However, as previously mentioned, we know of more than 1,000 BRCA mutations, and this test only rules out three. “Those tested can get the false illusion that they are not carriers, when in fact they may have other of hundreds of known functional mutations. 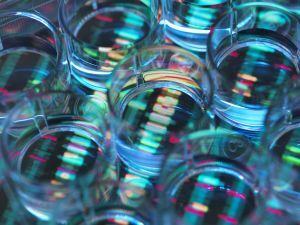 The new offering by 23andMe is better than nothing, but we need to (and can) do far better,” Eric Topol, a geneticist at the Scripps Institute, told Gizmodo. Other at-home tests, such as those from genetics company Color, are far more comprehensive, but a physician must order them. We still don’t have an FDA-approved, comprehensive test that consumers can purchase directly. Still, 23andMe’s new testing kit could serve to show the potential benefits and risks of at-home testing, and it may serve as an important stepping stone on the path to comprehensive tests to determine a person’s risk of developing cancer and other health conditions.